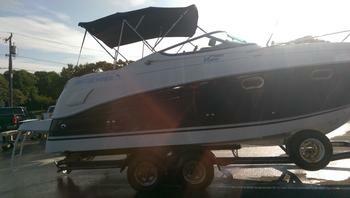 New and Used Boats for Sale, Large Boating Classifieds with multiple photos and detailed information. Sailboats and Powerboats for sale through our one-of-a-kind Boat Classified System. seeBoat.com has boats for sale! Through the use of the exclusive seeBoat.com Boat Search we offer boat dealers, brokers and enthusiasts the opportunity to customize and compile a personalized listing of our current boats for sale. We have received a number of reports of a possible scam which could have been targeting individual boat sellers. 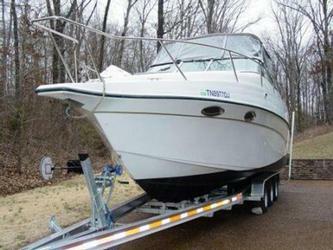 In essence, the seller is sent an email from a supposed broker who has a buyer for their boat. The broker offers to send a money order worth more than the asking price of the boat and the seller is supposed to send the difference back to the broker. Of course the money order failes to clear, there is no buyer, and the supposed broker walks away with your money. Please, use your best judgement when selling your boat. Have boats for sale? Whether you're a Yacht Broker or Boat Dealer or an Individual trying to sell your boat, seeBoat.com is the site for you...and it's absolutely free! We encourage you to register as a member of seeBoat.com. Customized homepages, individualized search criteria, and updates on new boats for sale are just a few of the member benefits. If you have previously registered with seeBoat.com, please enter your username and password below. Forgot your username or password?, Click here for help. If you're looking for boat insurance, check our friends out at Boat Insurance Reviews. They've reviewed all the top boat insurance providers and show actual customer reviews so you can compare and save!